A pair of green-winged teal take a break from their migration through Missouri. Waterfowl moving through Missouri are peaking these days. This week, populations of scaup, ring-necked ducks, and green-winged teal should be peaking in Missouri. These transient ducks are most often seen in our state as they fly through in spring and fall between their northern breeding grounds and their over-wintering territories. Ring-necks and scaups dive completely under water to forage for aquatic invertebrates such as snails, crayfish, and aquatic insects and vegetation. 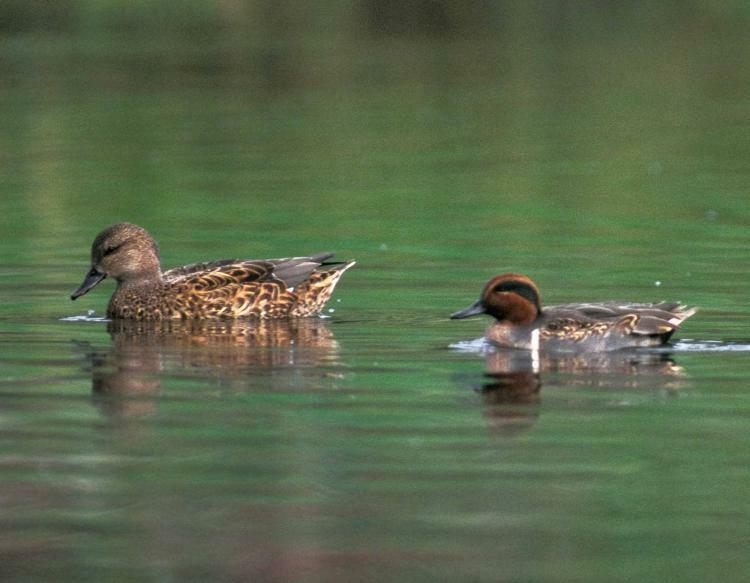 Teal prefer vegetation interspersed throughout the water and forage in shallow areas. Proportionately large wings allow teal to take flight by springing directly into the air from the water’s surface. Migratory waterfowl play important ecological roles in both breeding and over-wintering territories. 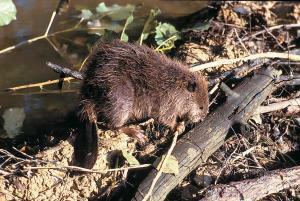 They also influence the ecology of every region they travel through in spring and fall. State, federal, and international conservation agencies monitor and manage migratory waterfowl to ensure they return in healthy populations each year. 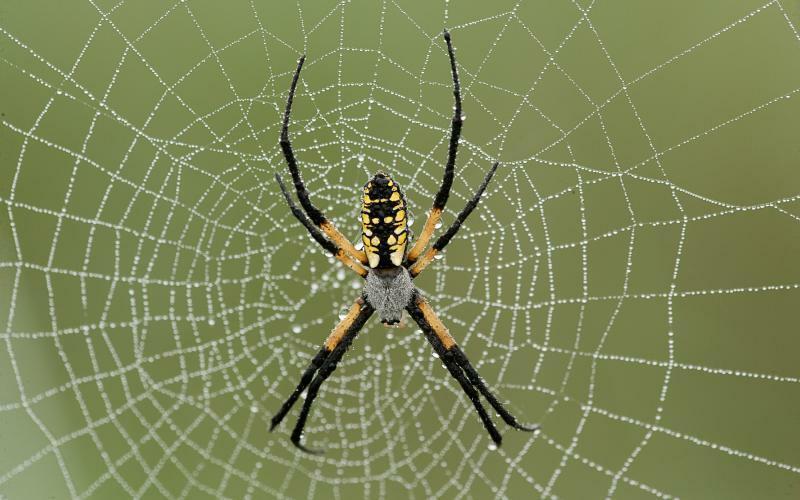 Discover Nature this week explores how spiders appear to fly. This week on Discover Nature, we’ll look for one of Missouri’s late-blooming native wildflowers. 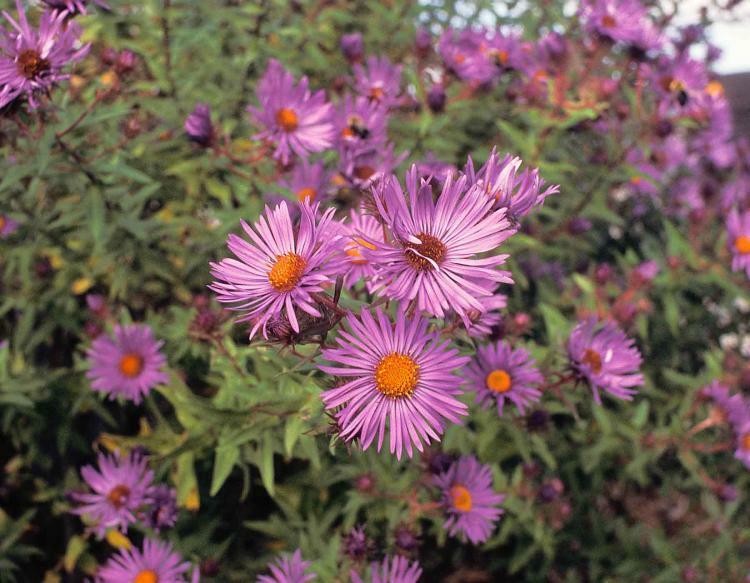 New England Asters are visible now in bloom across Missouri. Learn more on this week's Discover Nature.